For several years we have been part of the great Crailsheimer Merlins family. Of course for us, that we are looking for family addition for the R. Deckert family with our new bandspot at the home games of the Merlins. 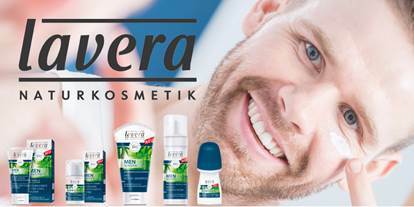 The brand lavera stands for certified natural cosmetics that meet even the highest demands of customers. 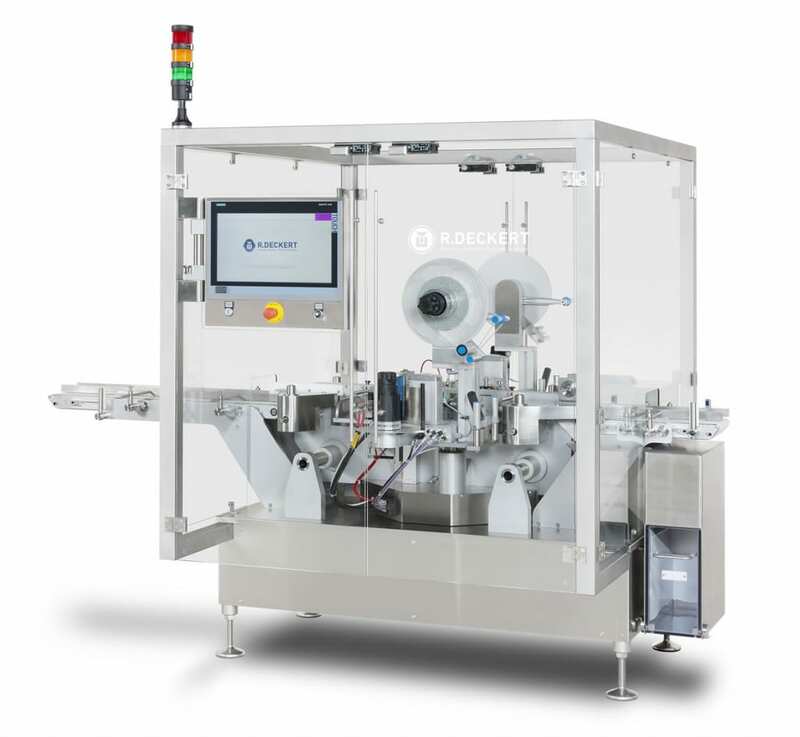 Our tailor-made packaging solution from R.Deckert also meets the highest demands: set-up, insertion, net weighing, new revolutionary filling system, CIP cleaning, gross weighing and, last but not least, a wide variety of sealing systems. A clear case of: Made by us! Another German pharmacist appreciates the user-friendliness and reduction of the setting parameters when changing format. 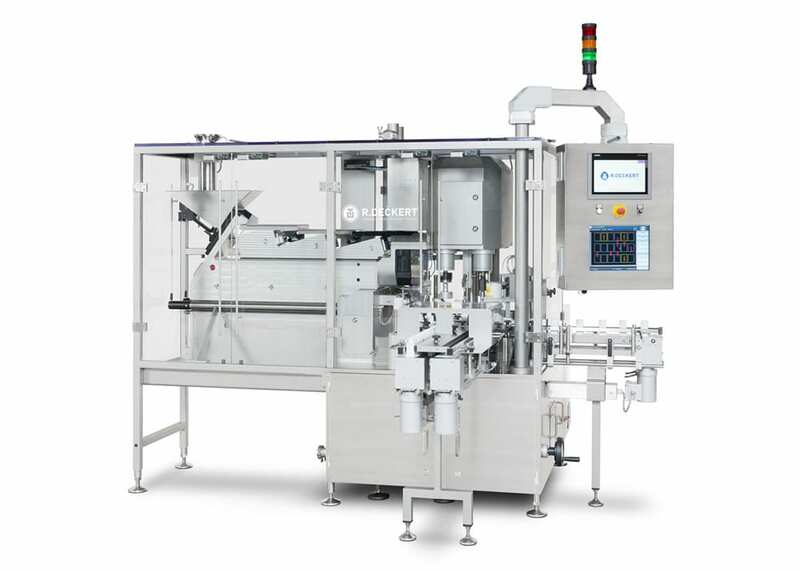 The easy accessibility for changeover and cleaning is the main criterion for all types of packaging machines, which our DTT 200 impressively controls and thus fulfills the EU directive for increasing the counterfeiting safety of medicinal products. Congratulations Christian Bölz to successful completion of training and 3rd place at the performance competition of the german handicraft 2016 of the Handwerkskammer Heilbronn-Franken. Instructor Andreas Gruber, trainee Christian Bölz and manager Michael Mall (from right to left). Monoblock machines filling & closing in customer requirements. Filling of solida & liquids – weighing – sealing – closing. Reduction of format changes is the subject, therefor conversion to other formats must be reproducible, and be ready for production with “fine adjustments” at the machine without start-up times. The newest generation of our equipment meets these requirements in a unique way. On-demand information, always reproducible out of the machines formatmemory. It was erected, aligned and transported. It was filled, sealed and labelled. And now it’s there – the clever box. A good, discreet solution. All the processes were matched to the individual requirements and desires of our customer Johnson & Johnson GmbH. Integration of final packaging incl. Vision Control Systems made by us. Yet another Monoblock, this time for Pfizer in Freiburg. Again we have combined all line processes into the smallest of spaces on a single machine. This significantly reduces the cost of change parts. Not to be overlooked is this solutions rapid changeover time when compared to conventional lines. The strengths of this compact system are evident during it’s line clearance procedure at the end of each and every batch. DTT200 – The difference is in the detail. Under this motto, we offer our interpretation to implement the EU directive to increase the forgery protection or medicines using its newly developed T&T unit to the specialist visitors at this year’s Fachpack in Nürnberg. 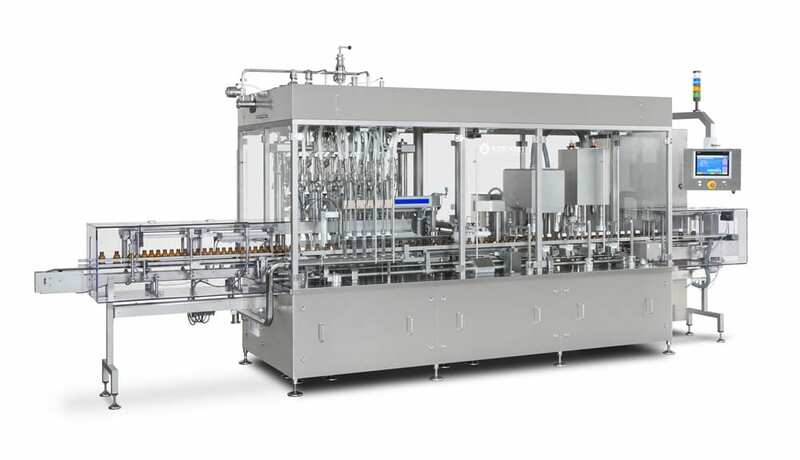 User-friendliness, the reduction of the number of setting parameters on changing shapes, good accessibility on changeovers and cleaning are the main criteria for any type of packaging machine,which DTT 200 fulfils in an impressive manner. Our customer, Antistress AG, uses this slogan to market its Burgerstein vitamin products. What really feels good is our tailor-made packaging solution from R. Deckert, which leaves out nothing: Erection, blowing out, net weighing, counting and filling with a product camera check, gross weighing, prescrewing, induction sealing and lastly final screwing with a servo and labelling. A clear case of: Made by us! Filling and capping – made by us. We are your competent partner in many different areas. Filling and capping for sensitive homoeopathic medicaments. Both our customers and ourselves demand the highest quality.